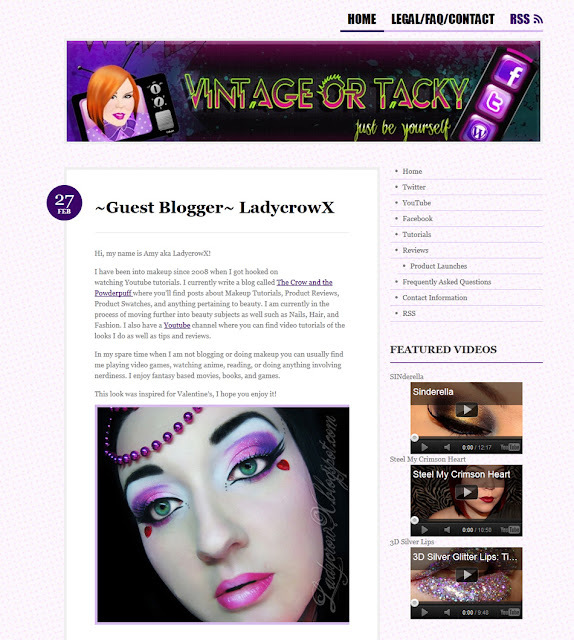 The Crow and the Powderpuff | A Creative Makeup & Beauty Blog: Featured on Vintage or Tacky! I've been watching Cora on Youtube ever since I can remember (2008) when I first got into makeup, I love the fact she's so funny and just has these fantastic tutorials on makeup along with tips to help improve my makeup skills. Anyway tonight I am featured as a guest poster on her website, so excited! !